​ADM Viet Nam Aquitaine, founded in September 2010, is an antenna of the national humanitarian association ADM Vietnam Centre (Association for Development Aid Medical system in Viet Nam). ADM Viet Nam was founded in November 1991 and registered in the Official Gazette early 1992 under number SIRET 41181395900011. This association is in a humanitarian and scientific purpose in the service of the poorest of the Viet Nam and the Vietnamese medical body. It is based on the voluntary work of the members medical and non-medical of any nationality without ace political or religious. ADM Viet Nam is an NGO law 1901 whose funds are collected from fees, donations and miscellaneous benefits of annual dinners. Its headquarter is based in OLIVET (45). I made the acquaintance of Dr. TRAN, president of ADM Viet Nam Centre, in 2004 as a regular Doctor when I lived in the Loiret. Following many exchanges for a few years, I was impressed by the extreme dedication of this humanitarian association. I engaged in this association at the beginning of my retirement I spend in Gironde. Antenna ADM Viet Nam Aquitaine was created on September 11, 2010 to participate actively in humanitarian actions of ADM Viet Nam Centre with women, men and means we can have in the Aquitaine region. Installed recently in the Aquitaine region, I met several people wanting to get involved with us in this adventure to the service of the poor. The volunteer active members arise from the medical and non-medical environment. Like all of the antennas of ADM Viet Nam, our means of financing consist of memberships, grants and donations, as well as the benefits of our events. 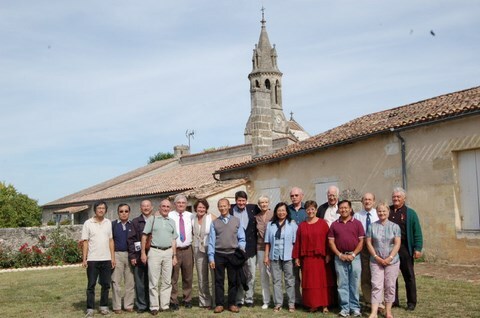 The creation of the ADM Viet Nam Aquitaine antenna meeting took place in September 11, 2010 at Saint Romain La Virvée Mecca of Bordeaux wine growing. The delegation of ADM Viet Nam Centre consisted of Dr. TRAN Cuong, president of ADM, Mr Louis Dance, vice-president, Mr Yann DUCHATEL, vice-president, Mr Antoine MARCHAND, Secretary, Mr NGUYEN THI, Member, Mr and Mrs. MOLINA, founding members. The presentation of the association was made with 30 participants. Today, our antenna has 63 members assets and from benefactors in the Aquitaine region of the medical and non-medical environment. 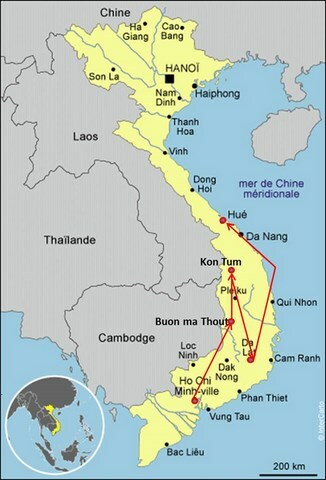 As ADM Viet Nam Centre, its means of financing consist of membership, benefits of events, grants and various gifts. ADM Viet Nam Aquitaine has the ambition to intervene in the continuity of the actions of the national association ADM VIETNAM Centre by maintaining the spirit which animes it, but also in its own choices in relation to its local partners. Medical actions in centers of interventions, mainly with the geographically isolated populations in the region of the Central Highlands from the center of the Viet Nam in relation to local actors, medical partners and associations in the field. Logistics with the local actors in the disadvantaged region of the Highlands of the center of the Viet Nam. Sponsorships of children orphaned or from families very poor. Cultural exchanges : exchanges with the francophone population as well as the middle school and high school students.